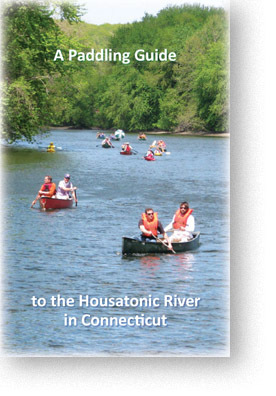 HVA publishes the definitive paddling guides to the Housatonic River and its tributaries in two editions – Massachusetts and Connecticut. Both copies include extensive maps with put-ins, take-outs, itineraries, parking info, wildlife and nature guides. Download a PDF below. Printed copies are available free of charge, subject to availability. Use our contact form or call 860-672-6788 to request a copy. From Hinsdale/Dalton, Mass. to Kent, Conn. including access points, trail maps, activities and wildlife. Click to download or request a copy. Trails, towns, points of interest, history and things to do in the northern half of the watershed (from the Berkshires to Kent, Conn.). Click to download or request a copy. Trails, towns, points of interest, history and things to do in the southern half of the watershed (from the New Milford, Conn. to Long Island Sound). Click to download or request a copy. 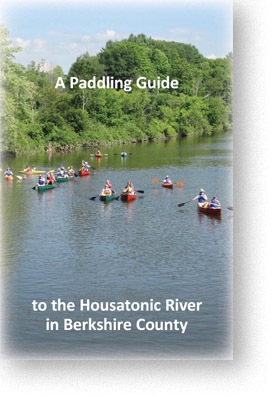 A guide to the tidal portion of the Housatonic at Long Island Sound, with fishing information, points of access, parks and more. Click to download or request a copy.